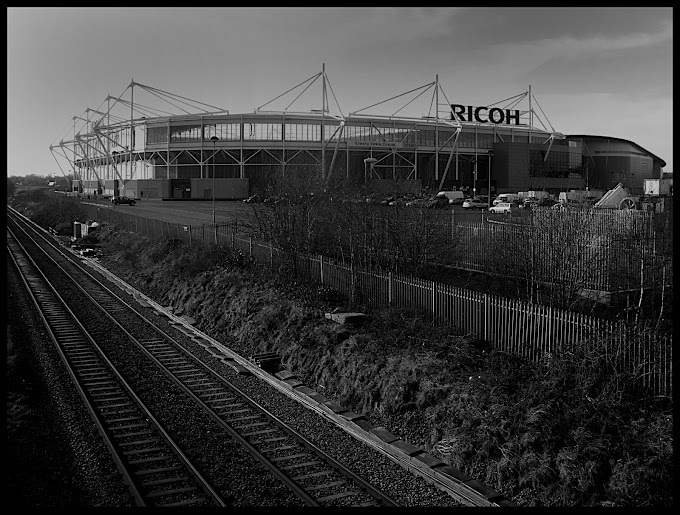 View of the Ricoh Arena from the railway footbridge. The arena is very difficult to fit into the frame in the one shot, it is simply too large a building - this elevated shot is the only one that worked out of many tried. The monochrome option was chosen for its gravitas, clarity and tonal simplification, the colour option on such a bright day merely confused the photograph.